For more than 25 years, The Leadership Challenge has become the most trusted source on becoming a better leader, selling over 2 million copies in over 20 languages since its first publication. Based on Kouzes and Posner extensive research, this all-new edition casts their enduring work in context for today’s world, proving how leadership is a relationship that must be nurtured and, most important, that it can be learned. 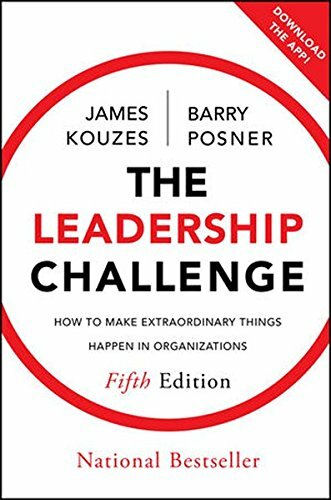 AN indispensable resource for leaders at all levels, this anniversary edition of The Leadership Challenge is a must-read for anyone looking to be a better leader and make extraordinary things happen.